At 17, Canadian snowboarder Mark McMorris became the first to complete a backside triple cork 1440 — a trick that sees him do three off-axis flips while spinning four times. Now 24, the Regina native is one of the favourites in the slopestyle event at the 2018 Winter Olympics in Pyeongchang, South Korea. 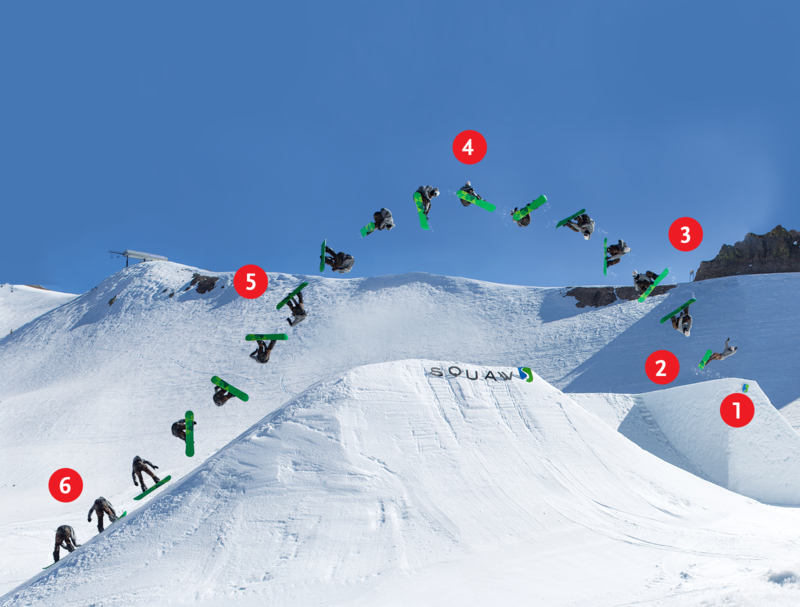 This graphic explains the physics behind McMorris’s made-in-Canada signature move. Before leaving the ramp, McMorris twists his body like a corkscrew, creating potential energy. To initiate the "cork," he raises his left arm on the approach. He throws his left arm across his body toward his right hip as he takes off, turning potential energy into kinetic energy. To continue his flips and rotations, McMorris looks over his right shoulder, causing the rest of his body to follow. Each time McMorris turns upright in the air, he spots his landing. Spotting, a skill often developed through trampoline training, allows boarders to gauge their speed and height from the ground. McMorris grabs the edge of his board for stability when rotating (doing so also earns more points for his style). To spin faster, he tucks his body closer to the board. To go slower, he expands his body and may even release his grip. McMorris aims to land his jump on the board's toe edge (the side his toes point toward), according to his coach Chris Witwicki. This helps absorb the rotational forces of the jump, keep him upright and slow him down.